One wouldn’t think an herb so fragile and leafy as shiso (aojiso or ohba, sometimes labeled as perilla or beefsteak) would take kindly to salt, but it does. If you grew a plant or two this year, consider making the traditional salted pickle from Japan, or a shiso kimchi from Korea. 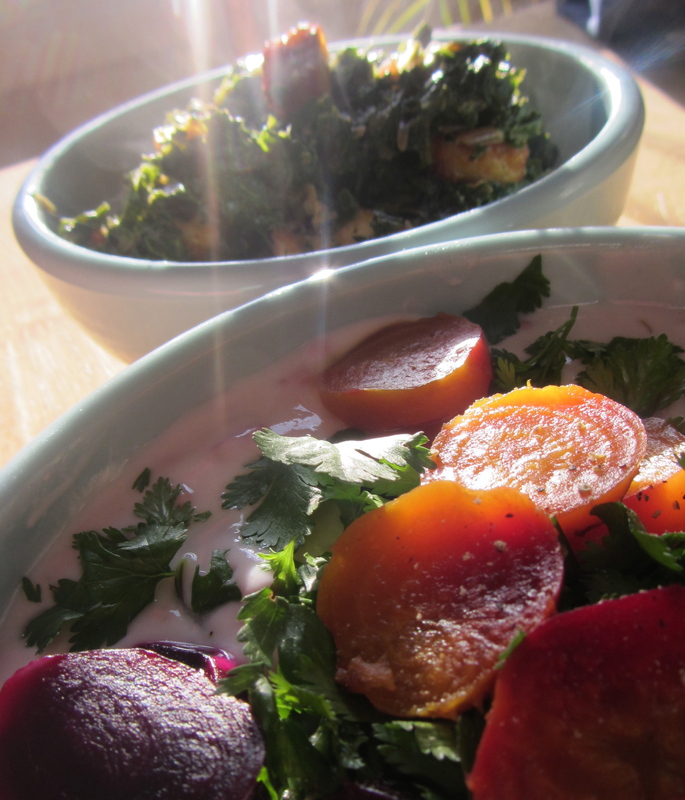 Personally, I’m partial to the clean, simple flavor of the salted shiso, but have enjoyed both. 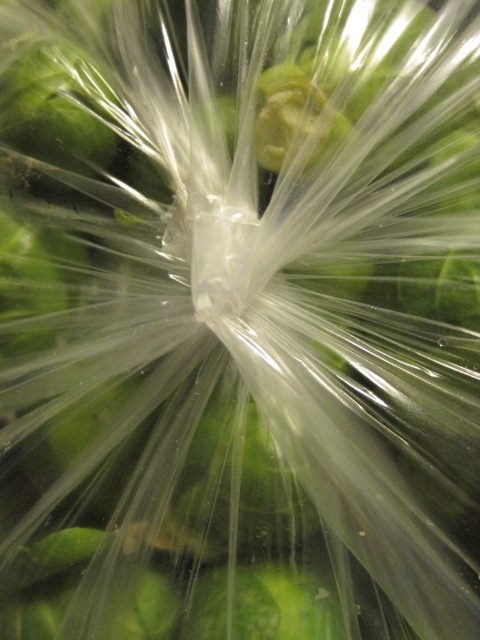 Either lasts for several weeks to months in the refrigerator, but quality is best after at least a few days of curing. In Japan, red shiso (akajiso) is used as a dye for umeboshi, pickled plums, and a delicious addition to pickled cucumber or eggplant. It’s also dried and used as a furikake, or crumbly delicious crunchy topping for morning rice. Mmmm. Why don’t I eat more Japanese breakfasts? Because I don’t have a Japanese wife to make them, duh. Green shiso leaves are chiffonaded and mixed in with rice, or used to wrap bits of ground chicken breast and pork and grilled. I often pick a few leaves and eat them with rice, using them like those little nori strips that are now popular with the nutritionist crowd. The basil-anise-Thai basily green flavor is exquisite, and again I urge you to grow your own, as the stuff in the market is rare, expensive, and fades quickly. I’ve grown two kinds of the green shiso: one that has a purple underleaf, and one that doesn’t. 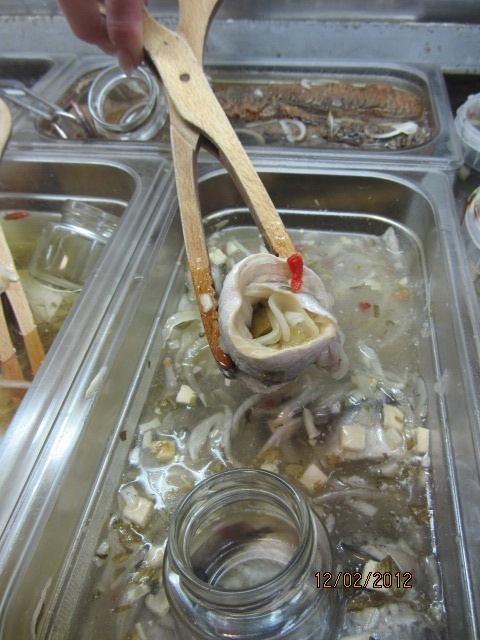 It is also preserved, most successfully with salt, but sometimes with soy and a little garlic. One can also use the seeds fresh or salted, but I scatter them in my herb bed for another crop. The Korean form of shiso (kkaenip, sometimes called ‘sesame leaf’, Perilla frutescens var. frutescens) is a different strain of the Japanese perilla (Perilla frutescens var. crispa) and the ornamental perilla (coleus). See a good picture in the LA Times here. If you can find it, use it for kimchi. The recipe couldn’t be easier. Pick the largest leaves of your fresh green shiso, then sprinkle a little sea salt on each leaf, stacking leaves in a container. 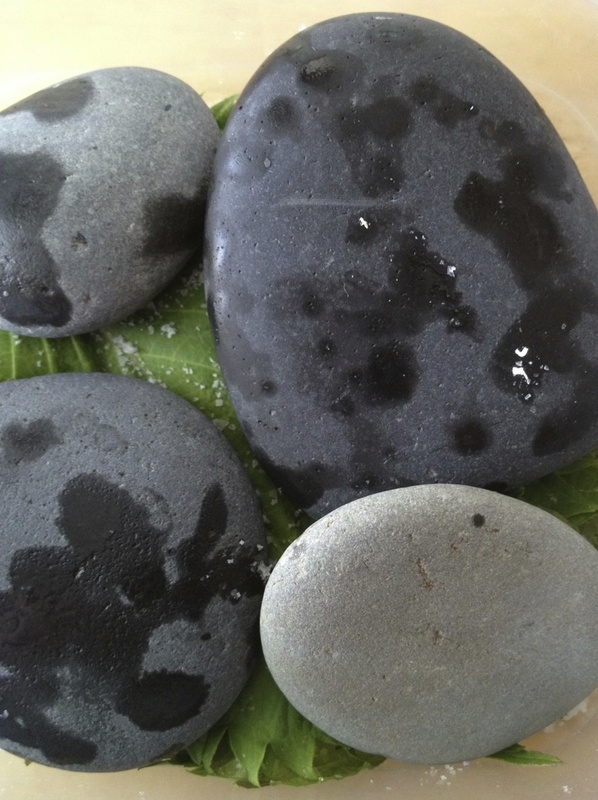 You might weigh them down (as I did above, with ocean beach stones) or not. Let cure in the refrigerator for a few days, then enjoy for months. You will need to make a souse, but this recipe doesn’t ferment the kim chi like cabbage or radishes. It’s milder and softer, perfect for summer. 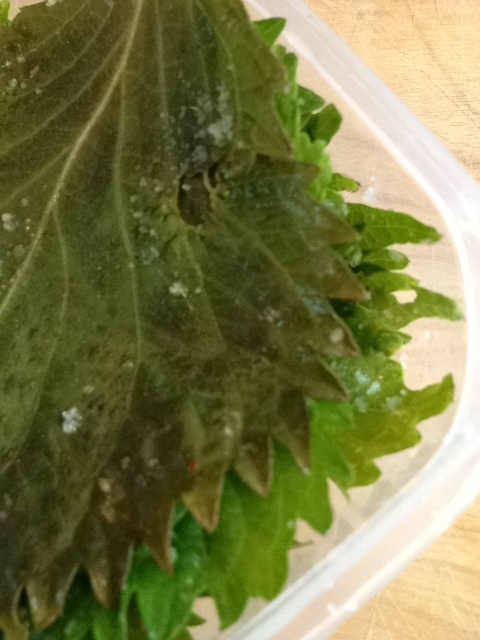 Prepare the shiso leaves by rinsing them, if necessary. Prepare the vegetables for the souse. 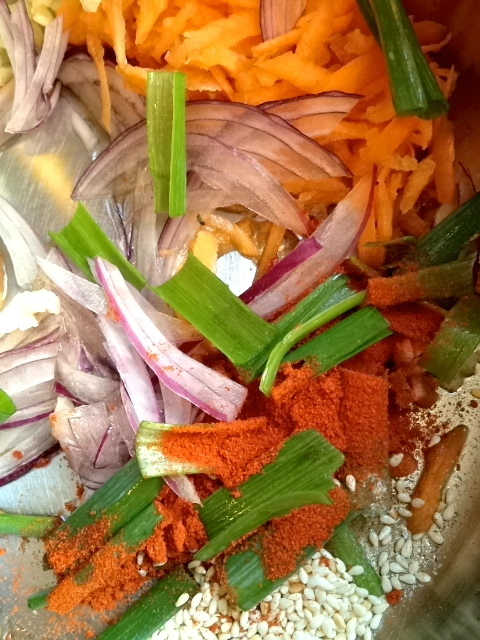 Thinly slice the red onion and mince the garlic; thinly slice the whites and greens of the green onion; julienne the carrot. 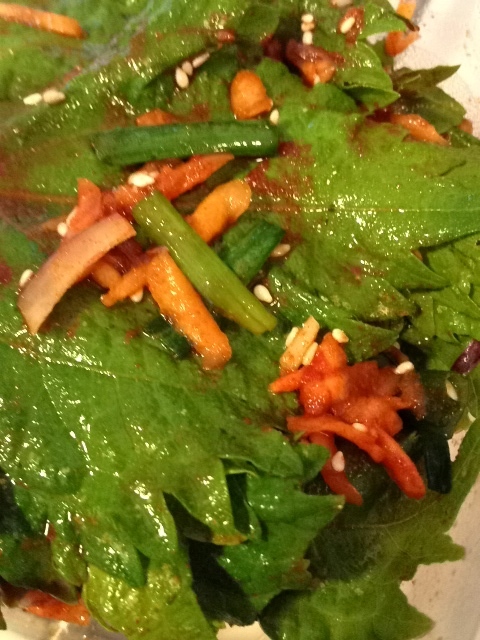 Toss the vegetables with the sugar, fish sauce, red pepper, and sesame seeds. Layer every two shiso leaves with a bit of the sauce, gently rubbing it into the leaves evenly. Leave some souse for the top of the pile, press down gently, cover, and refrigerate for at least a week. I am reminded of Marcel Duchamp: a readymade. You know the story of the most famous one, right? To make a point about art and modern culture in 1917, he acquired an ordinary porcelain urinal, placed it business end up, signed it R. Mutt, and declared it art. Art not just for the eyes; instead, it was meant to question the very notion of seeing art, to stimulate the senses with a much wider range of stimuli — even repugnance and a reminder of unpleasant, necessary truths. 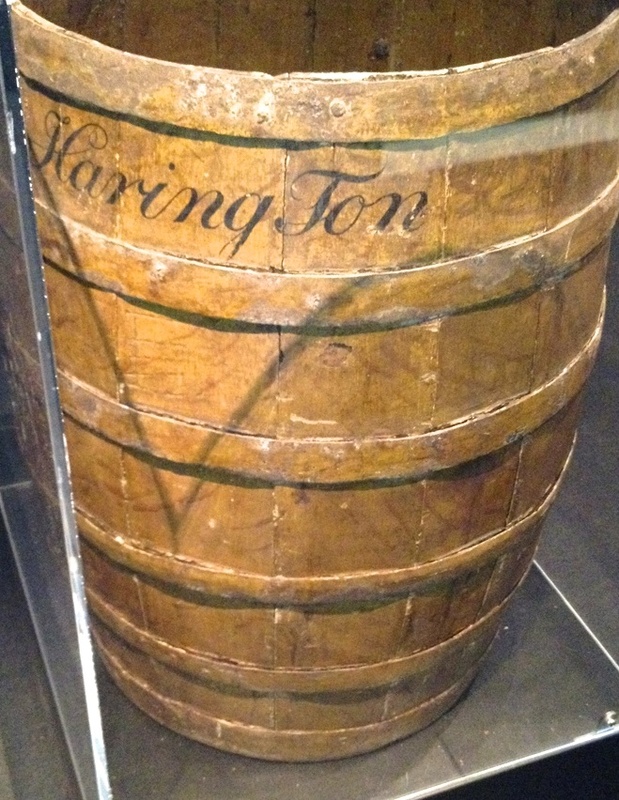 How is a herring barrel in a history museum similar? This one, the preserver preserved at Amsterdam’s Jewish Historical Museum, is quite handsome, actually: sturdy, rotund, golden brown, made antiseptic in its lit vitrine, but grimed and bumped and nicked as it traveled around the globe. Who knows: did it go from the Baltic seaboard to the New World, filled with the salted herring that nourished the sailors and enriched the burghers? Did a slave from Ghana scratch a doodle into the side during a moment’s rest, or was it kicked by an angry Chinese tradesman upon a sour deal with an unscrupulous VOC rep? Or did it get rolled around the streets of the Albert Cuyp market by Jewish vendors eking out a living in fishy carts circling the city? …smell. I’ve got good news and bad news today. 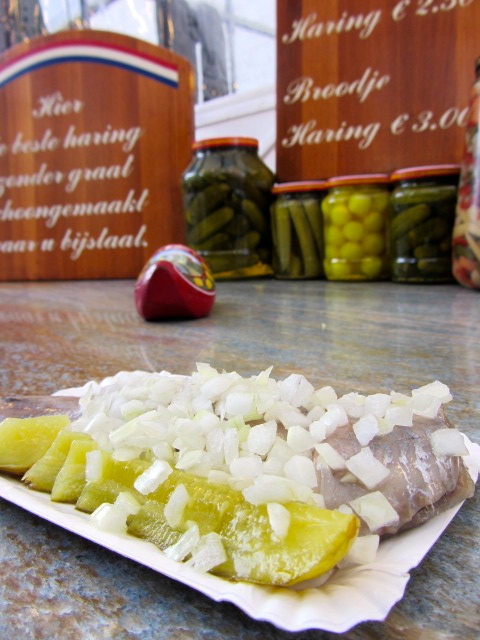 The good news is that my piece for NPR’s The Salt appeared this morning on a topic very much related to this herring barrel: Dutch pickles and trade. See it here! The bad news is that something weird happened with my images, and the resolution is too poor to accompany the article. 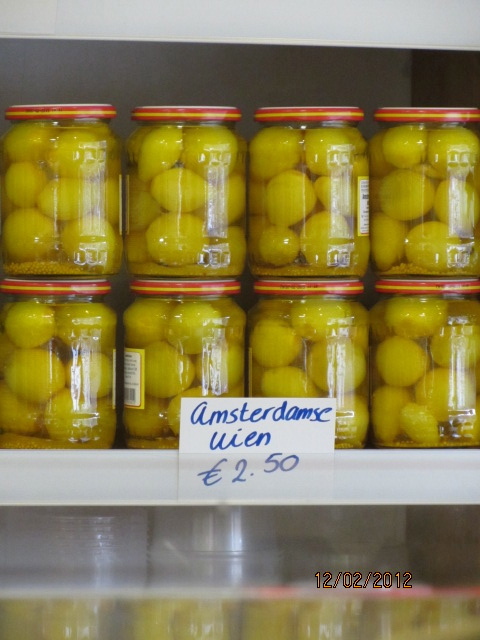 I’ll figure out what went wrong, but in the meanwhile, I wanted to share some of the wonderful pickles I captured in Amsterdam at fourth generation pickler Fred Ooms’ de Leeuw Pickles and renowned Dutch-Surinamese caterer Mavis Hofwijk’s Surinaams Buffet Catering. I’m so thrilled to have met Fred and his wife Monique, and their charming son, and Mavis and her charming daughter Candice, all thanks to artist and scholar Karin Vaneker. 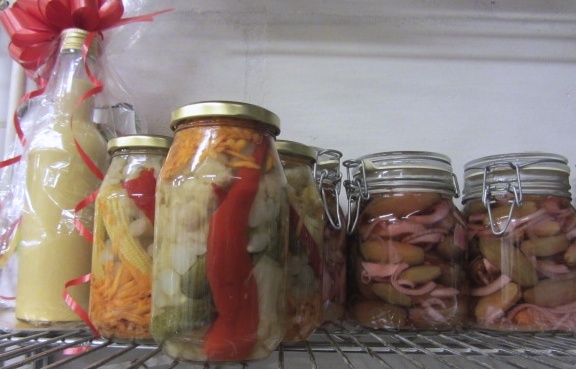 Peter Piper picked a peck of pickled peppers, but Culinaria Eugenius put up a peck of fermented peppers! Here’s how I started, with my fermented pepper recipe. I packed a few half-gallon jars full of fresh hot peppers, garlic, and a salt brine. It sat in a cool corner until the fermentation got going, rewarding me with the most delicious, spicy-sour peppers that would last through the winter. They were so beautiful, and so bold. After chopping up dozens of the peppers to use in my salsa, stirfries, beans, and anything else that would benefit from a burst of heat, I used up every last drop of sour brine from several large jars. Happily, I realized I still had enough to make hot sauce from the hottest and fruitiest of the peppers. 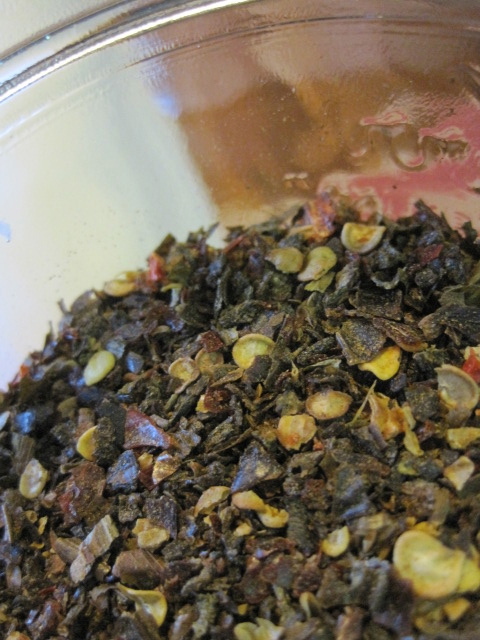 I had one large jar in the back of the fridge, a blend that was heavy with burnished brown Ethiopian beriberi peppers. 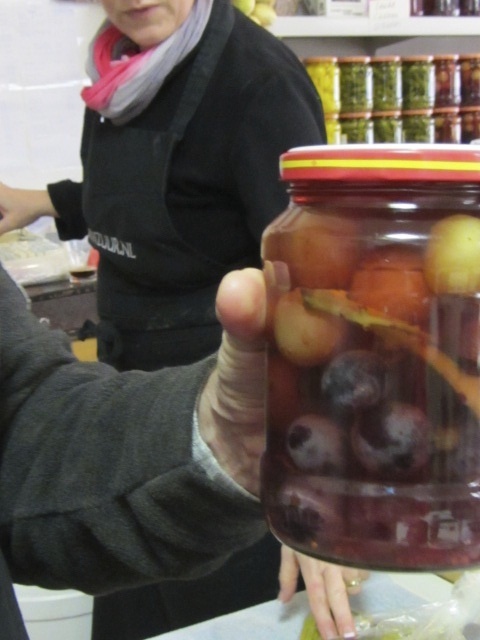 They made me cough, they were so strong, but the mix of peppers had so much more depth than the plain jar of jalapenos or the mixed jars of jalapenos and other Central American peppers. And thus, the best hot sauce in the world was born. I can’t emphasize how delicious this stuff was after spicing up the salt brine from October to June. And it’s all about the fermentation. Fermentation is the secret of some commercial hot sauces; Tabasco, for example, ferments its pepper mash in oak barrels for up to three years. But we don’t really take advantage of this at home, often just counting on the half-vinegar half-water hot peppers that we can from the Ball Blue Book. 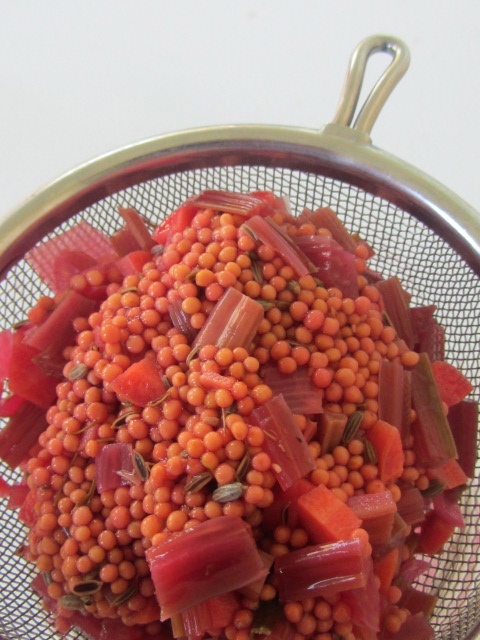 There are reasons for avoiding fermentation with pepper sauce, including the problems keeping the mash at a cool temperature. 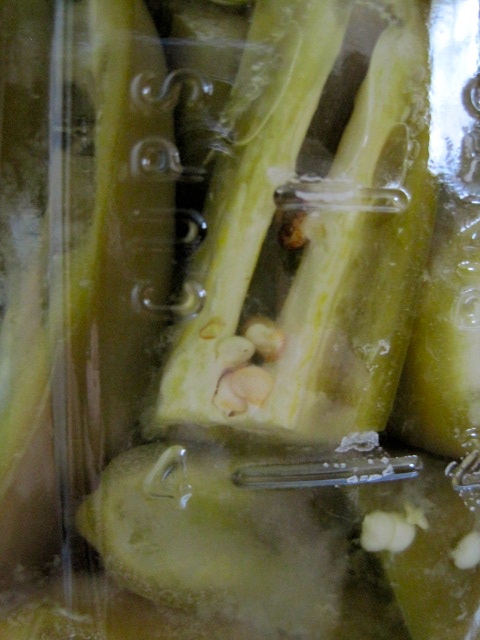 Peppers are a bit more finicky than cucumbers. At first, I tried to strain off the delicious brine and keep that on the counter, but it developed a white film, so I knew it had to be refrigerated. And even though the peppers in brine were fine for many months in the refrigerator, the blended hot sauce, after sitting in the refrigerator for a month or so, started to grow white mold on top, so I had to get rid of the rest of the jar. I attribute this to the complete lack of vinegar in the brine. 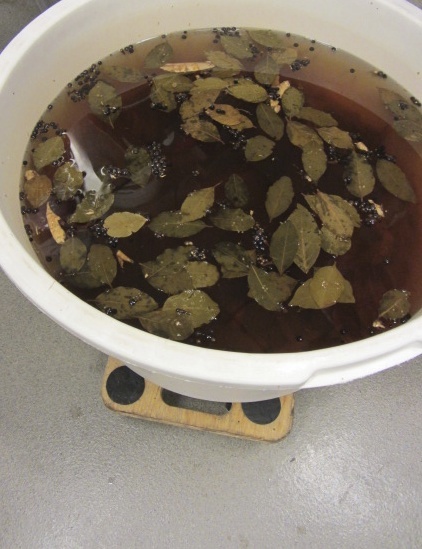 You might try adding some vinegar as a preservative. I definitely recommend making the hot sauce in small batches, since the peppers in brine last beautifully long in the refrigerator, but the peppers in the sauce seem to have a short refrigerated shelf life. Hank Shaw’s hot sauce recipe, a wholly different preparation than mine, directs the cook to add spices, which would be great next time. The recipe also includes two particularly good tips: using a growingly available binding agent called xanthan gum to prevent the sauce from separating, and letting the sauce settle to remove excess air. 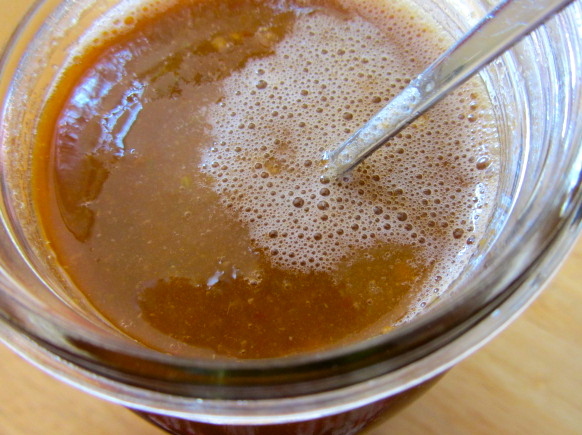 For about 2 cups of finished hot sauce, he advises using 1/4 teaspoon of xanthan gum, mixed with 2 tablespoons cold water. 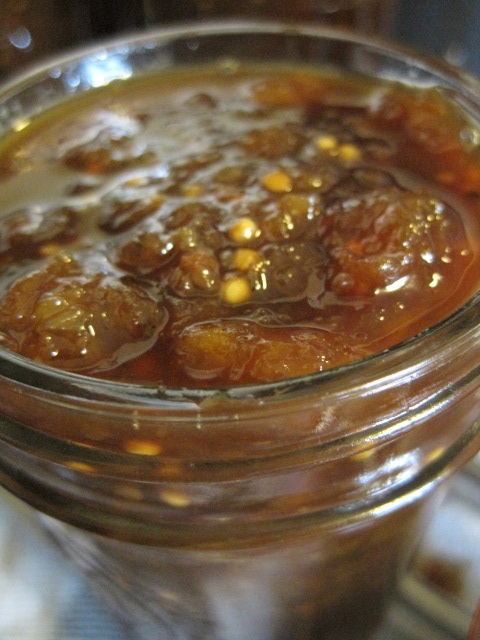 Without the xanthan gum, expect the pepper mass to float atop some briny water in your jar. Nothing dangerous, but not the most visually appealing thing in the world. A good stir fixes the problem. Pour into a bowl or large jar and let this settle for 1 hour to allow all the trapped air you introduced into the sauce while blending to escape. If you skip this step your sauce will not hold together as well. I’m going to try these steps next year for sure! Until then, I’ll be eating this glorious sauce on barbecued pork, tacos, chicken wings, gazpacho, etc., etc., etc. We’ve entered the time of year we dream about for the other 11 months, that juicy, sweet, lazy crest of summer in Oregon. It takes effort to do anything we’re all so full of endorphins, so happily disengaged. The land of the lotus eaters ain’t got nothing on us. But if you (meaning me) can pull yourself away from that glass of Pimm’s cup and grilled lamb, prepare for the cloudy days ahead with canning. Aw heck, just buy and eat it all fresh. Raspberries. Get ’em while you can, preferably today or tomorrow. We’re in the last throes. Riverbrook Farm on E. Beacon Drive off River Road is out and closed for the season. 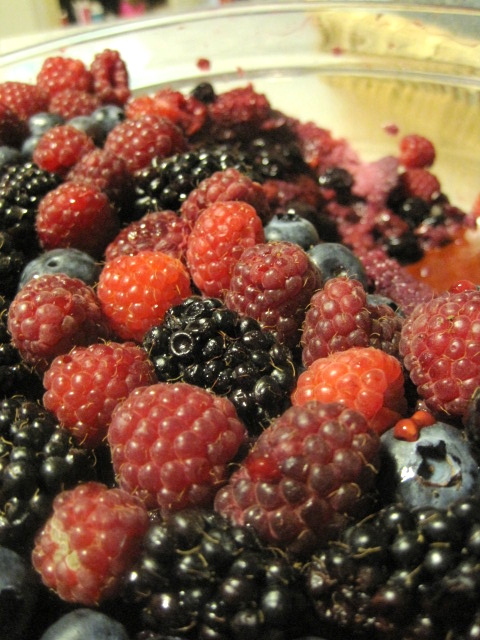 Marionberries, ditto times two. Our main season blackberries are starting to come in and that signals the end for the specialty crosses. 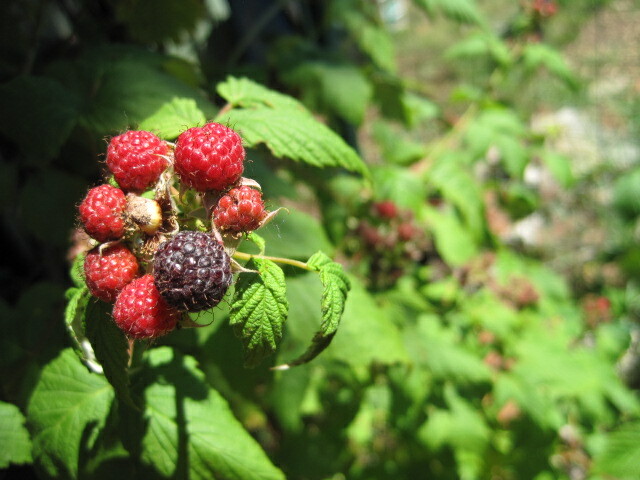 I did find a U-pick for blackcap raspberries (!!) on Beacon down the street from Riverbrook. Go. Immediately. They were closed on Sunday but they might have a day or so left, I’m not sure. Never seen a blackcap? 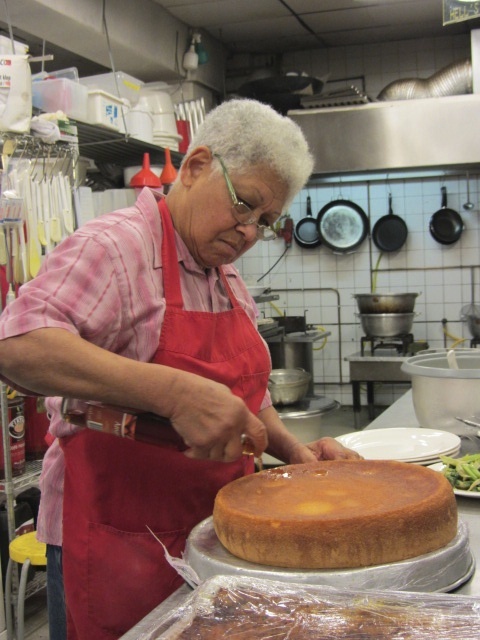 Look at the picture or read more here about Huerta de la Familia’s pioneering project. That’s my plant above, but they’re small compared to what you can get from Huerto or the farm I found today. Blueberries — great crop this year. Buy in volume and eat with abandon. U-pick all over the place, too. 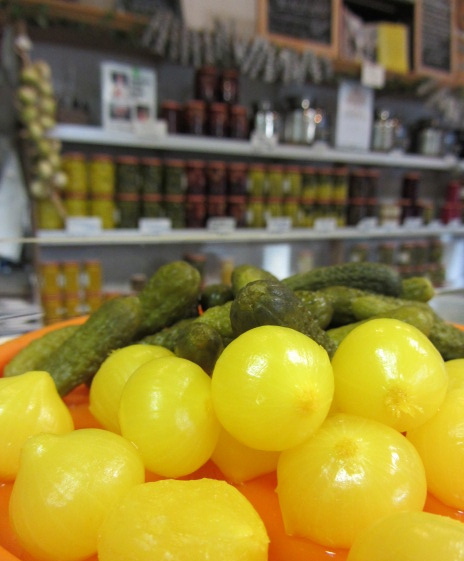 Pickling cucumbers are in full force at farms, for those of you who pickle. Buy them in 10- and 25-lb. bags in small, medium, large, and XL (I go for medium, since they’re easiest to wedge in jars). Those of you who pickle surely know this already! Do buy a big armful of dill and freeze the heads now for use all year. 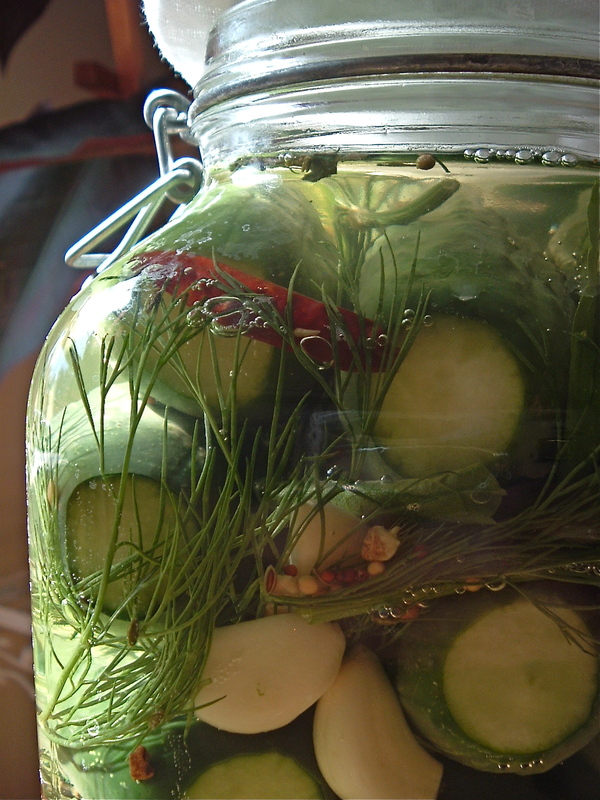 Frozen dill heads are superior to fresh ones in pickling. Make with the clicky for my recipes and tips. Beans are good to go for pickling, too, and looking great. The first ‘Bodacious’ corn has appeared. This is a local celebrity, but I think it might not be my favorite (tho’ I’ve never said no to an ear of corn, so I’ll thankfully eat it and any other corn I can get). Beautiful cabbages, heavy with juice, are also widely available. 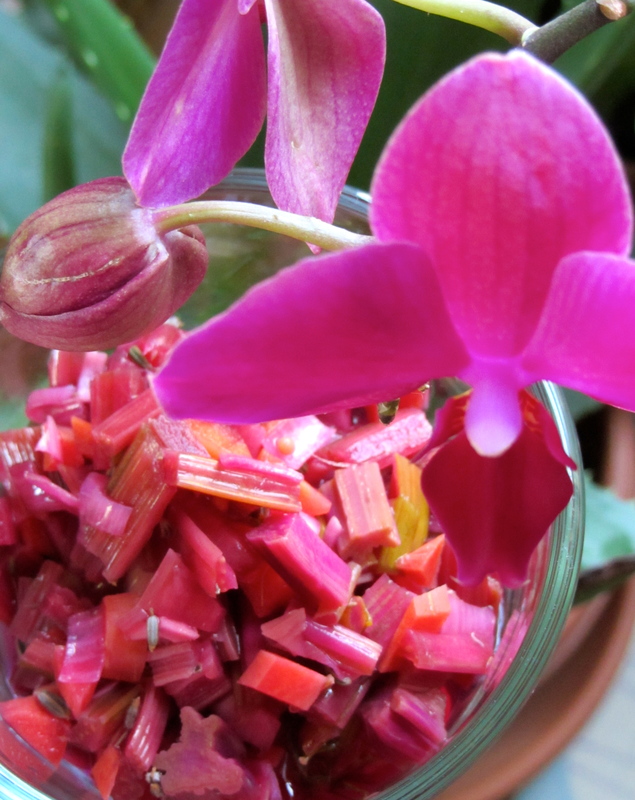 Now’s the time to make bright fuchsia sauerkraut before the summer dries out the less hearty red heads. They (who? I dunno, just “they”) say, however, that green cabbage needs a frost to make the best kraut. You decide. I, for one, can’t wait. The small heads will weigh about 5 lbs. right now (about twice as heavy as a supermarket cabbage of the same size), so don’t buy too much! Albacore season has started. I helped out at a Master Food Preserver canning class (which are all full, by the way, sorry). Get on next year’s class list (!) by following the information in local food writer (and MFP!) Jennifer Snelling’s recent article in the Register-Guard or try your own by following my instructions, which are an annotated version of the Extension-researched and approved recipe she posted in the article. Peaches have just started. Non-local apricots are still on the shelves. They’re generally from E. Washington, not California, which is good news. First plums, too. Good prices on Hermiston watermelon and cantaloupe. What else is in season? What are you loving?